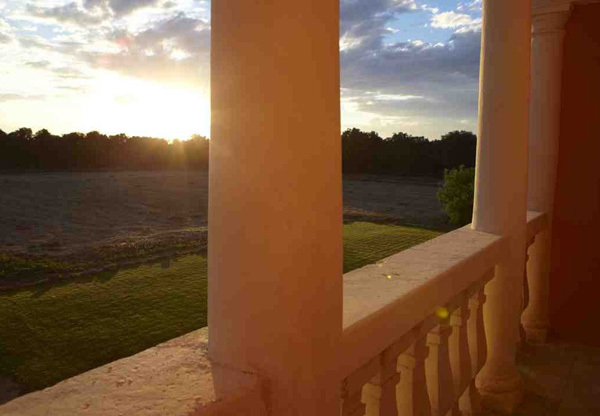 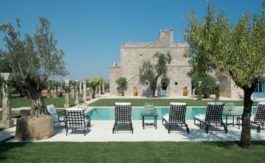 Villa Poesia is a wonderful historic masseria to rent in Puglia set amidst olive groves in a small town in Mesagne in the southern Italian region of Puglia. 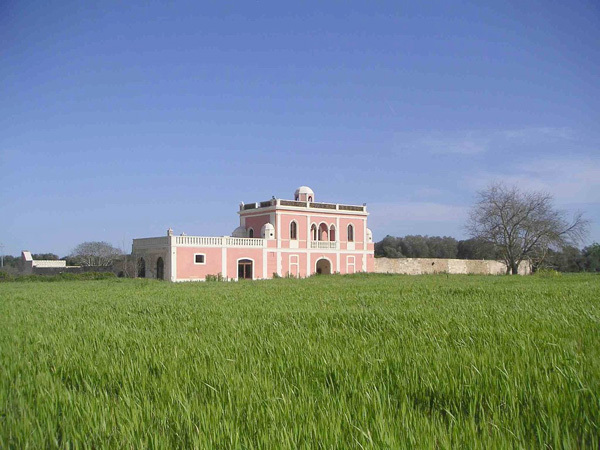 The property nestles on 15 acres of cultivated farmland, a few kilometers away from amazing sandy beaches of Torre Guaceto. 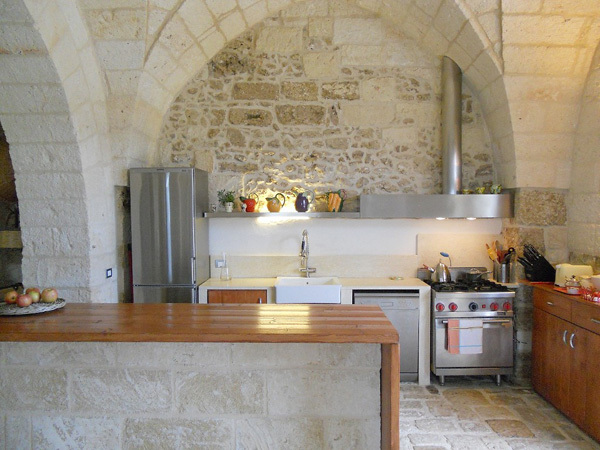 Nearby town of Mesagne and Latiano offer a number of restaurants, bars, grocery stores and other places of interest. 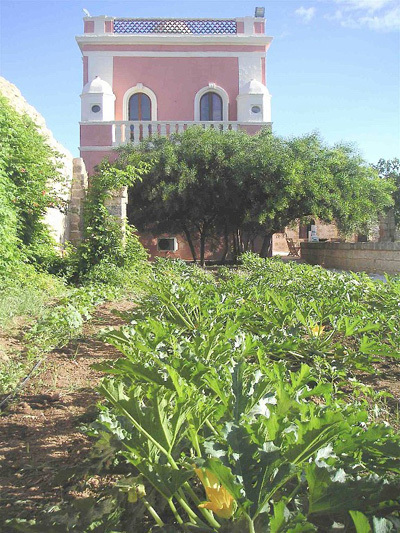 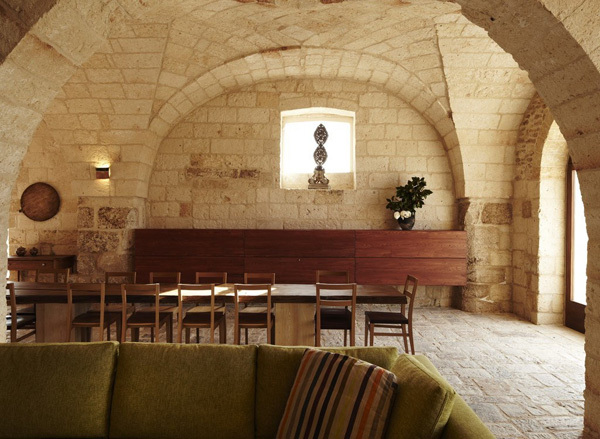 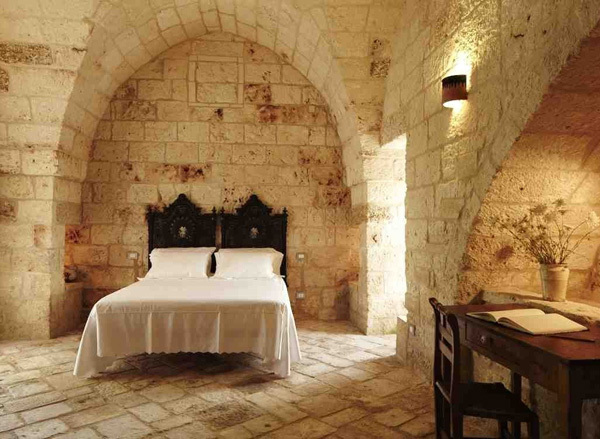 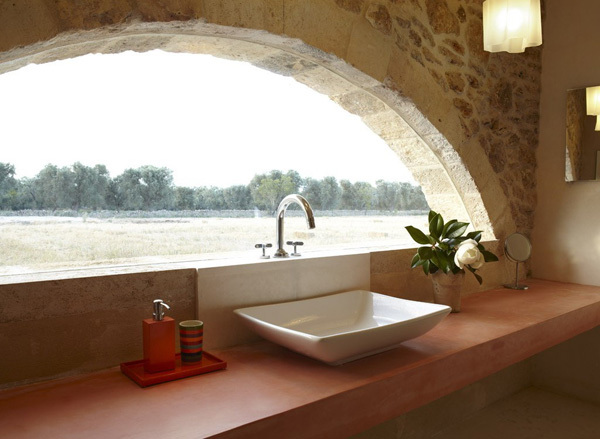 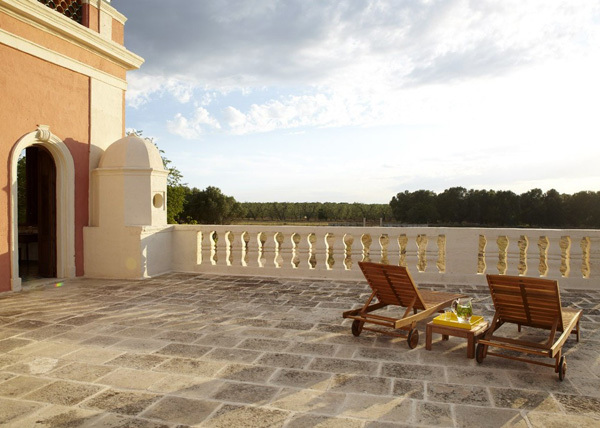 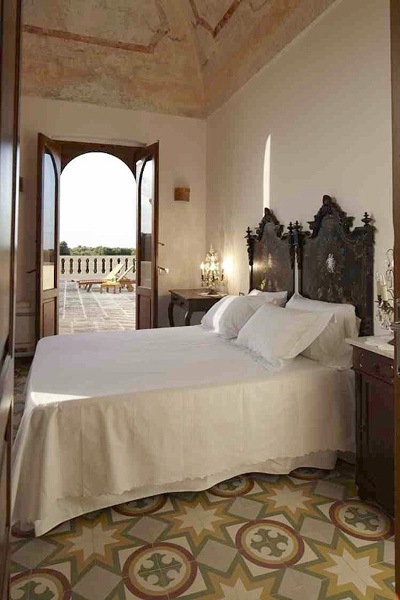 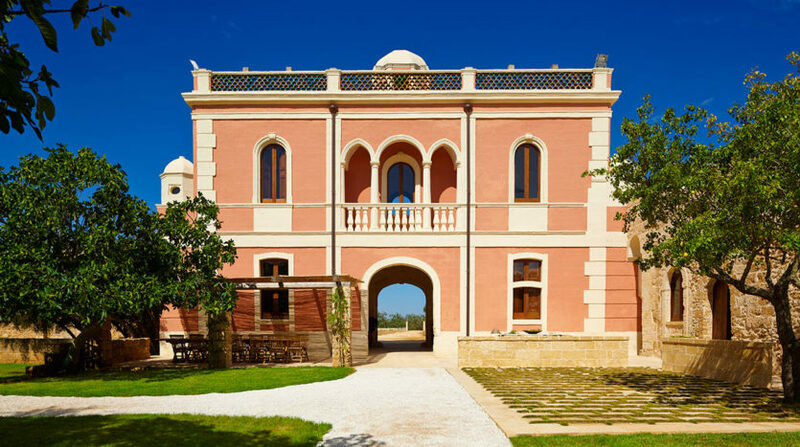 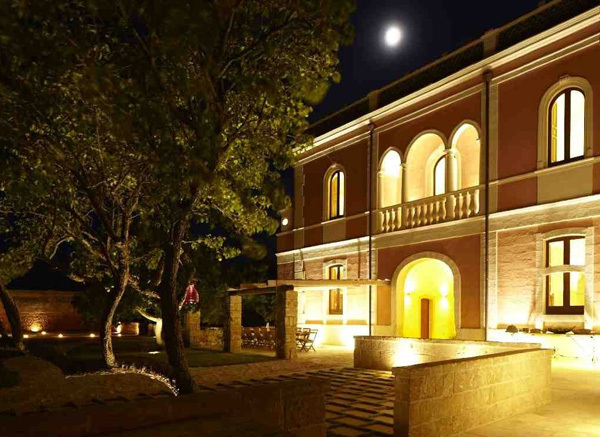 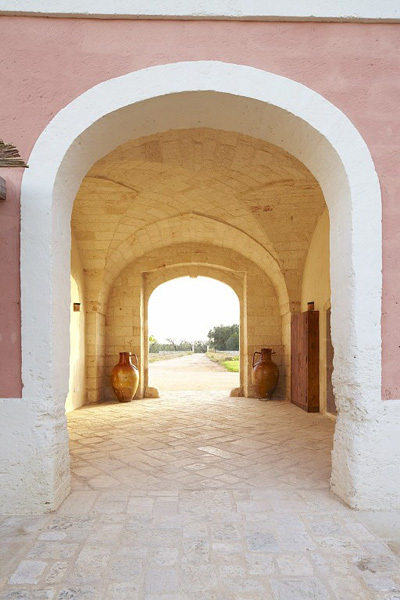 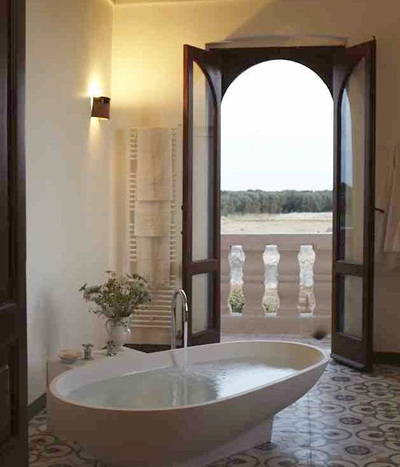 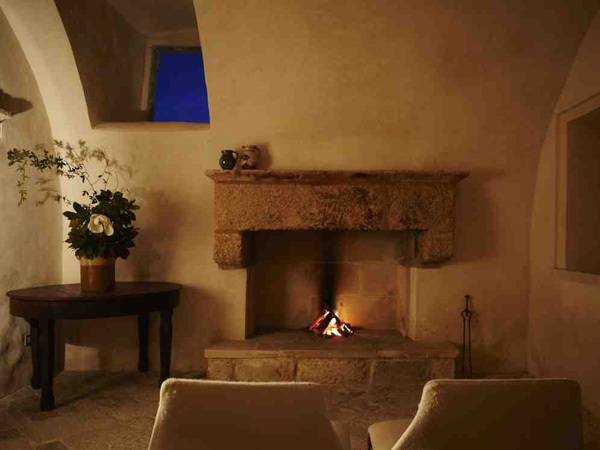 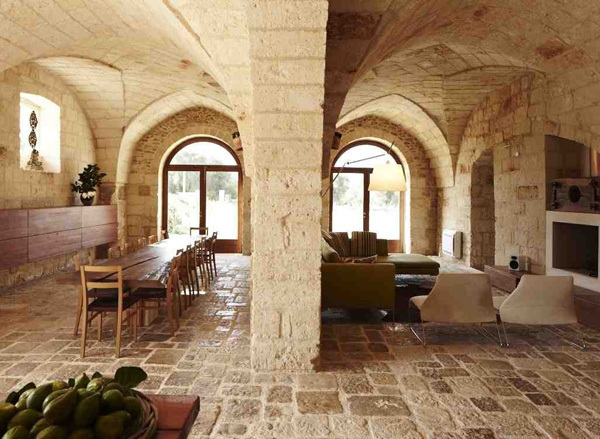 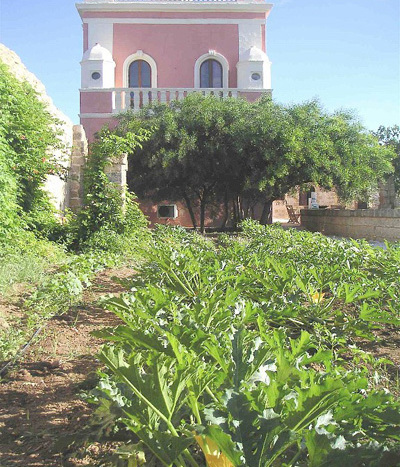 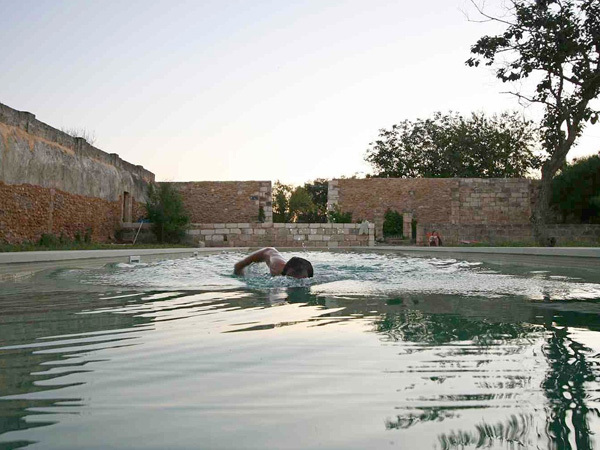 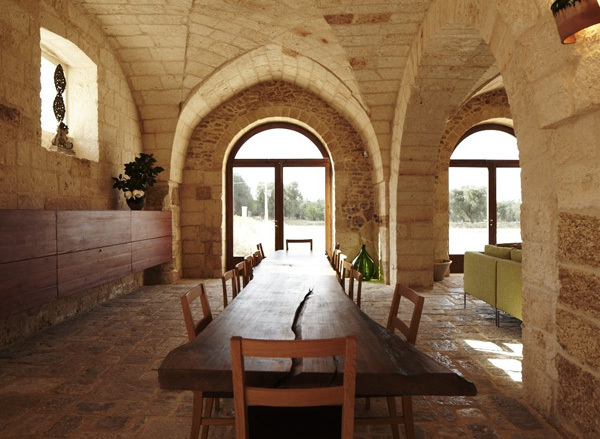 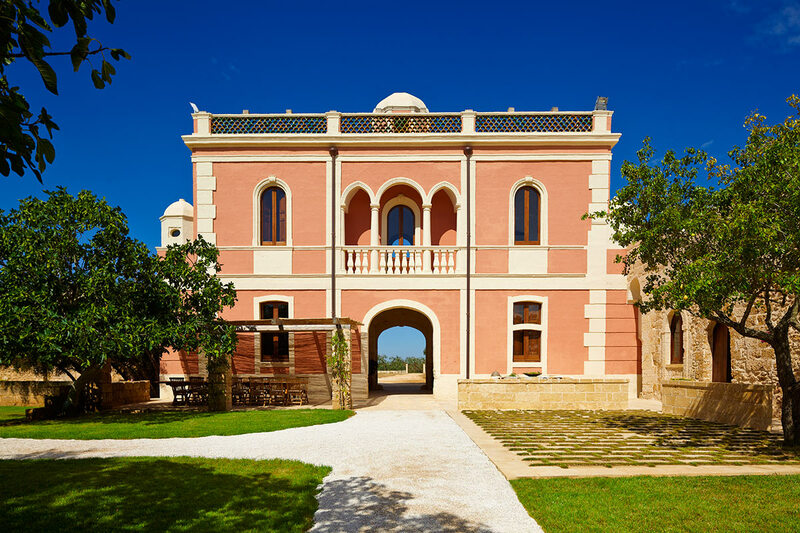 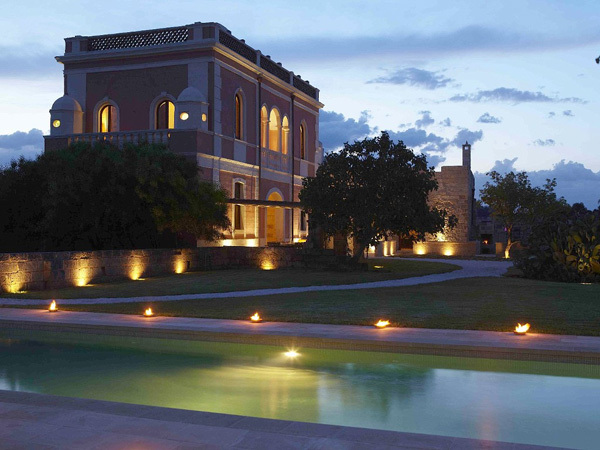 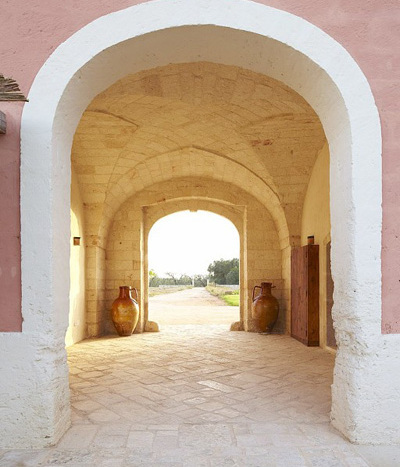 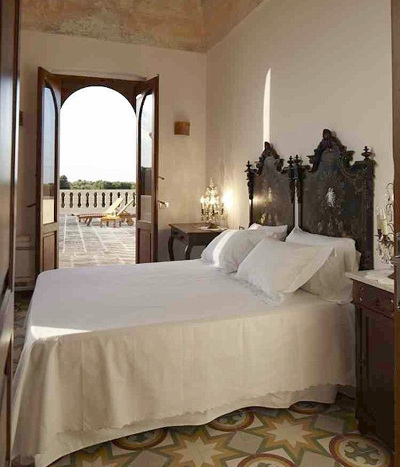 This luxury masseria to rent in Puglia was fully restored in 2010. 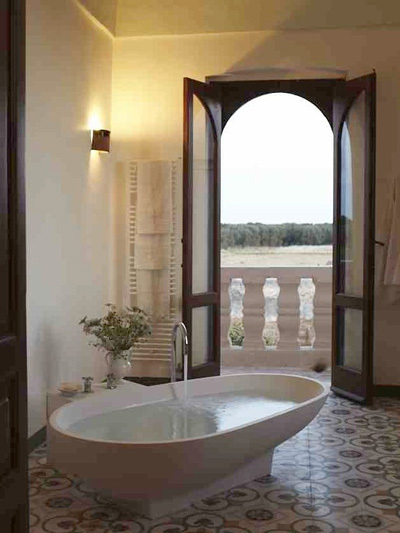 Its historical integrity has been preserved and integrated with modern design elements and amenities. 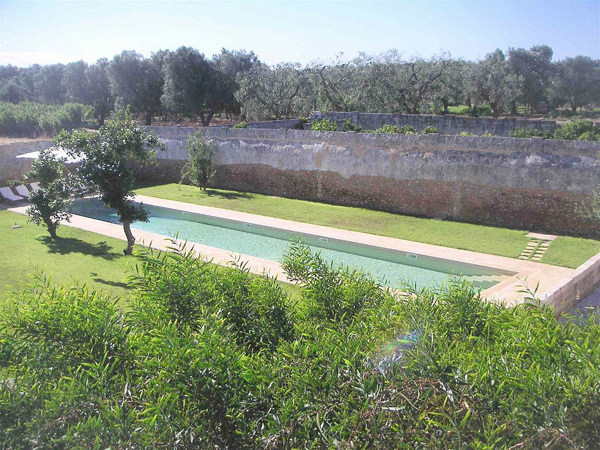 The oldest part of Villa Poesia dates back to the beginning of the XVI century. 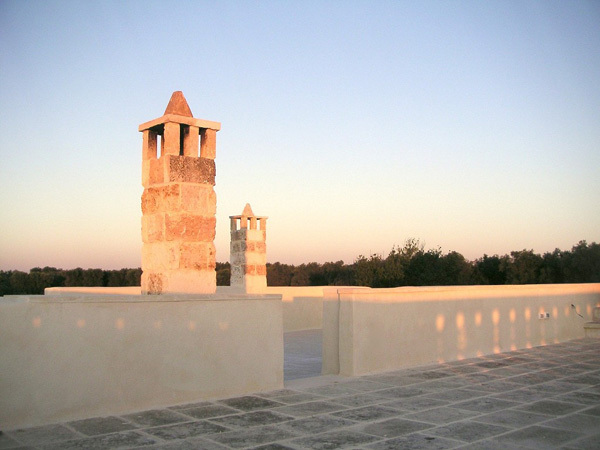 Villa Poesia is a fully air-conditioned masseria to rent in Puglia, featuring 6 bedrooms (all with queen beds, plus additional sofa bed in 2 of the bedrooms), 6 bathrooms (4 of them are ensuite), fully equipped kitchen with a dining table seating 14 persons, spacios living area, 3 fireplaces, upstairs grand terrace, study/media room with flat screen TV and DVD player, Wi-Fi Internet connection. 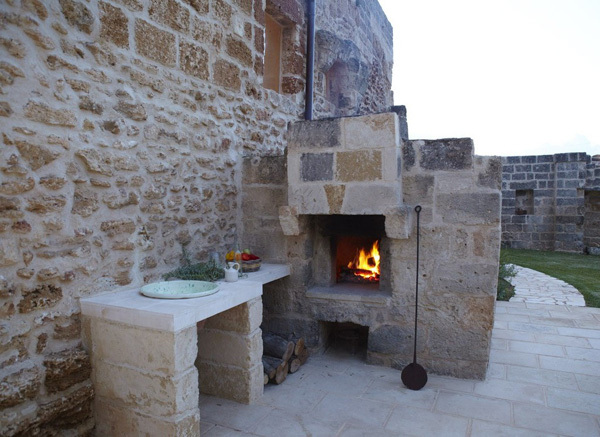 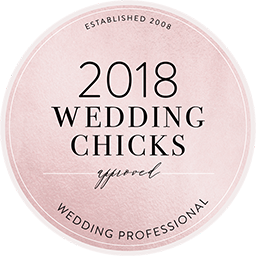 Other facilities include walled courtyard of approximately 0.5 acre with outdoor dining table for 16, ancient wood oven, barbeque, vegetable and herb garden and citrus grove. 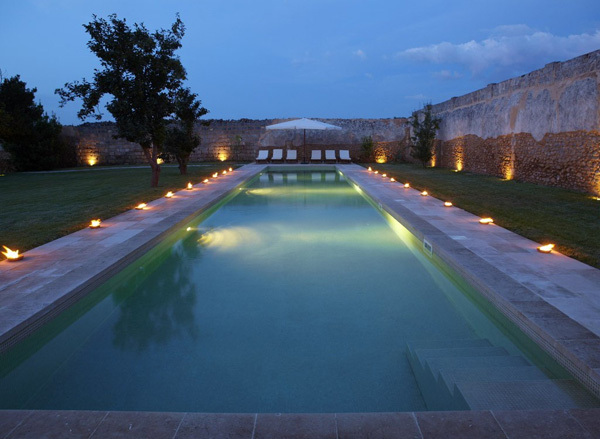 There is a huge private swimming pool (25x4m), which is open the second Saturday of May to the the second Saturday of October. 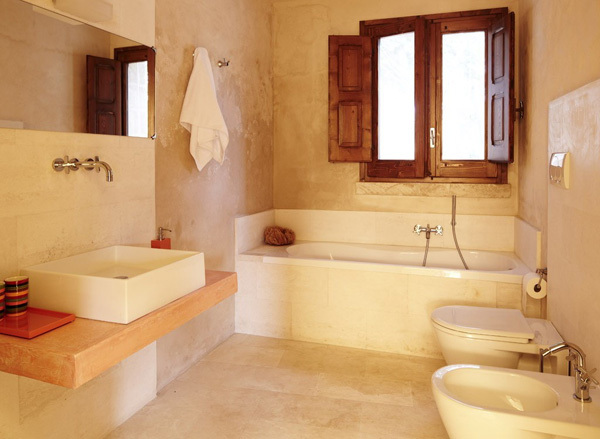 In the villa there is also a laundry room.